Two days out from the Newport Folk Festival and I'm still recovering/catching up on my rest from an incredible weekend. Truly one for the books! 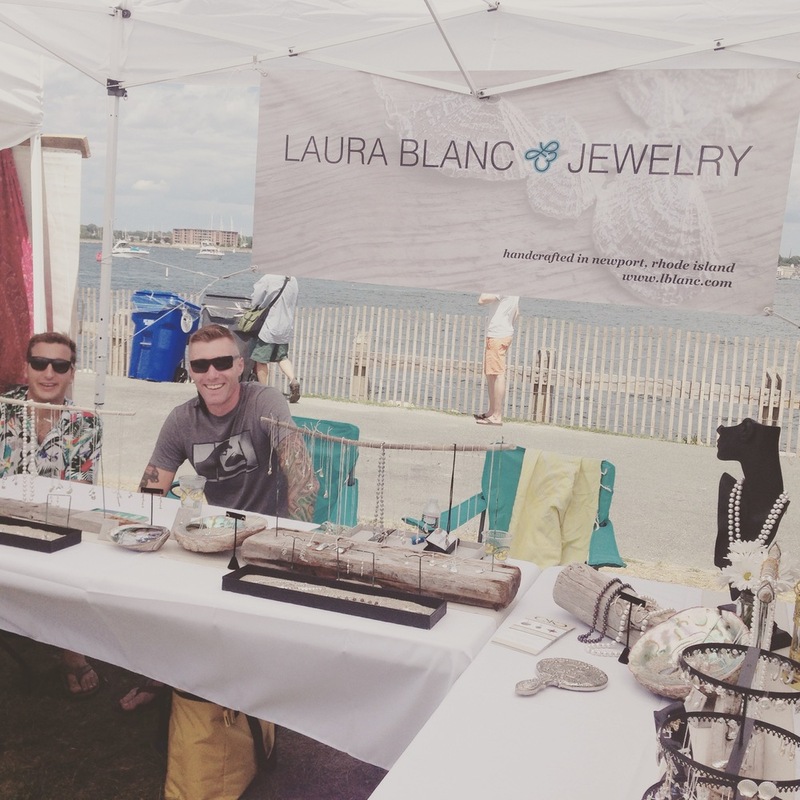 This was my first experience as a vendor at such a large event, and also my first experience with a 10x10 set-up. I've had a lot of fun planning and designing the booth space, so it was really amazing to see the end result come together. Of course on Thursday I was still doing some last minute things, putting some finishing touches on displays, and I had the very best little helper. She even wanted to model some pearls for me! Friday morning we got everything set up, and it looked great! I'm so happy with how the banner turned out, and thank you to my friend Will for letting me borrow those amazing abalone shells! Here's what the booth looked like as the music kicked off. Even though there was a little rain, it wasn't bad and a rainbow appeared afterwords! A big thank you to all my friends and family who supported and helped me get ready for folk weekend!